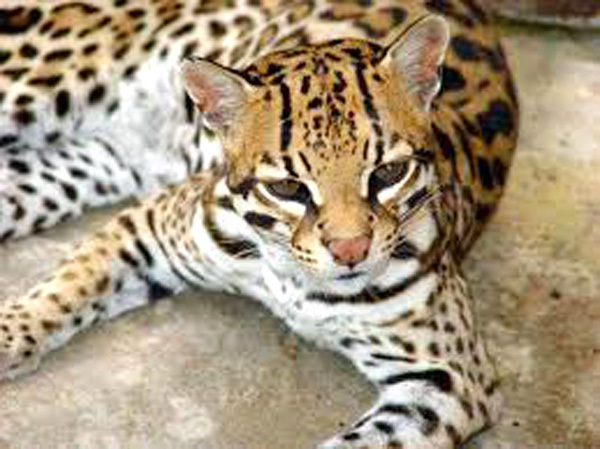 The ocelot (commonly known around here as cunaguaro) is a wild cat that can be found on Central and South America. It’s considered to be an endangered species and some of them are now found in places like El Pinar Zoo in Caracas. On the morning of January 27th, there were reports on the press mentioning that one ocelot named “Felipe” was attacked on its cell and two of its paws were mutilated. I must warn you that the linked images are upsetting. Authorities started an investigation right away. Even if the motive has not be uncovered so far, the possible use of the paws for santeria ceremonies is mentioned as a possibility. Days after the incident, El Pinar Zoo Director Nataly Trujillo accused private media outlets of exploiting the case for publicity. Why the sudden outburst? Maybe because of the current state of its infrastructure. This is not an isolated case of animal mishandling: Last October, an elephant named “Lucky” died in Maracay Zoo and workers blamed the lack of resources as the reason behind it. In 2011, four Amazon river dolphins (better known as tonina) died in the Valencia Aquarium and the enviroment where they were kept was far from ideal. At least, there are good news about Felipe’s recovery: It’s eating well and jumping again. Santeria has long been a part of Venezuelan life, and for many years it has been unremarkable to see santeros, clad head-to-toe in white, carrying beads or small statuary and congregating together. For all that, though, the specific practices involved have long been kept underground. Yet what was once an embarrassing family secret to folks like my friend has recently become more mainstream under the Chávez Regime. Nowadays, even high profile Venezuelan role models like Major League Baseball’s 2012 Triple Crown winner Miguel Cabrera, can be unabashed about their side occupations as babalawos. In some circles the practices have grown so in vogue that ordinary Venezuelans pay thousands of dollars for the honor of being trained and inducted in its rites.